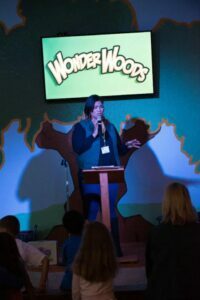 Wonder Woods is the place for kids to discover God and grow in Him. Our Rangers will lead your kids in worshiping God with music, learning about God in the Bible, and growing in God with hands-on activities. 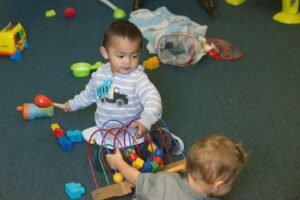 “Sprouts” is our nursery experience at The Grove for infants to about 2 years old. “Seedlings” is the experience for preschool aged kids ages 2-5. “Wonder Woods” is for kids in elementary school (K-5th grade). We are committed to providing a fun, safe place for your kids. Our staff is made up of men and women who are dedicated to helping your kids discover God and grow in Him. They are all trained in first aid and CPR, and have completed a background check. You’ll be able to relax and hear God’s message for you knowing your kids are in good hands. If there is anything we can do to serve you or your children better, please contact us.